Addnature.co.uk specialises in climbing and outdoor equipment, producing high-quality climbing footwear for both indoor and outdoor climbing. Boreal has always focused on putting the needs of the world’s top climbers and mountaineers first to ensure that the footwear on the market is the very best. From developing their first hiking boot to the present day, their technologically advanced shoes have paved the way for climbers all over the world to push themselves further and reach new heights. No matter where you are heading, find your outdoor footwear of choice and take yourself to the limit! Boreal is a family-led company that was founded in Spain in 1975 and specialised in climbing and outdoor equipment. The company was founded by Jesus Garcia Lopez in an area of Spain that has a rich history in footwear manufacturing. The first line they introduced was a line of footwear, crafted from very high-quality Norwegian welted leather. As their reputation grew, the brand caught the attention of the Gallego brothers, renowned rock climbers who partnered with Jesus to develop a rubber-soled shoe that would be designed specifically for rock climbing. Boreal’s first rock shoe “El Capitan” was born. By the 1980s, Boreal was successfully selling its shoes in popular outlets, such as the Yosemite Mountain Shop, and news of their superior models spread throughout the world. The brand became a global success as it continued to produce and engineer technically advanced rock shoes, climbing shoes and hiking shoes that consistently pushed the boundaries further than what people had thought was possible before. Their innovations also helped some of the world’s top climbers and athletes attain their goals and even break records. Since they began, Boreal have been at the forefront of the development, innovation and technology of climbing equipment and footwear. Boreal shoes included, among other things, the world’s first 8a + in 1983 and the world’s first 9a, 7 years later. 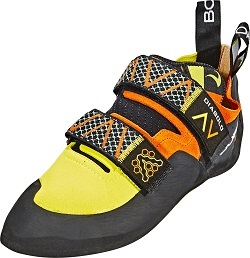 In the mid 1980s, Boreal once again astonished by introducing a sticky rubber surface onto the Ninja climbing shoe which changed the face of climbing as a sport. It continues to be a technology used in most climbing shoes to this day. In 1984, Boreal began to integrate a waterproof and breathable lining that would later become known as Gore-Tex lining – a complete game changer for its durable, highly breathable and comfortable properties. Boreal prides itself on the ability to develop the most technically advanced and comfortable boots for hikers and mountaineers. Boreal climbing shoes and Boreal boots are an ideal choice for athletes of all levels, made from high-quality materials that provide excellent support and stability. Boreal also supplies lightweight outdoor shoes and robust hiking boots for men, women and children. The Addnature.co.uk website enables you to shop for these products from the comfort of your own home and get them delivered straight to your front door. It’s that easy!